Columbia International College has been a supporter of Hamilton Crime Stoppers Inc. since 1995. Mr. Ron Rambarran, Columbia’s Emeritus Principal, has sat on the Board of Hamilton Crime Stoppers Inc. since 1995. He has been thrice past chair of the program and received the 2015 International Civilian of the Year award from Crime Stoppers International. Crime Stoppers is a community organization dedicated to engaging citizens in maintaining safe communities across the world. It is a partnership among the community, the local media and the police. 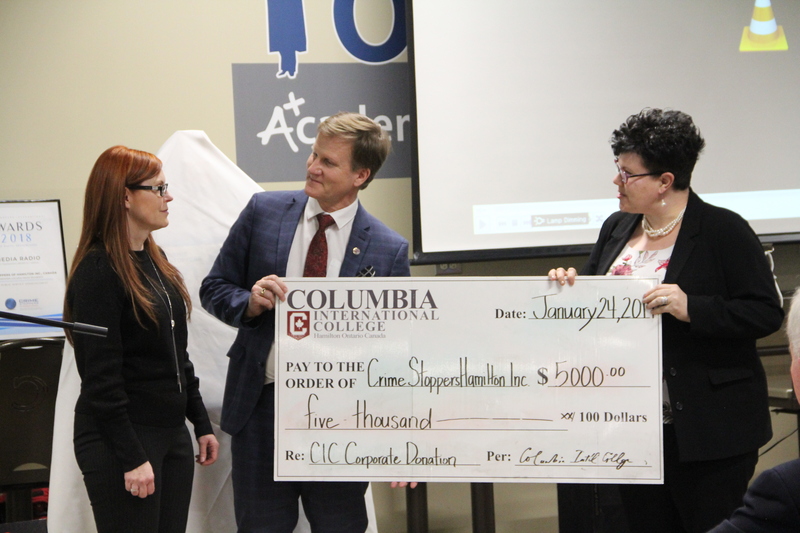 Columbia International College hosts Crime Stoppers of Hamilton’s annual Evening of Appreciation in January of each year. At this event, Crime Stoppers recognizes those members of the partnership (community, media, police services) who have contributed significantly to the program in the previous year.